Why choose Gold Key Langley Volkswagen Service? Our state-of-the-art facility features the most current diagnostic and repair equipment available, and our factory-trained technicians will deliver the most efficient and quality vehicle care. In addition, we are the only facility that has a DRIVE-THRU service bay for your convenience – and let’s face it, it’ll keep you warm and dry when you most need it! That’s why we’ve made it more affordable to keep your German-engineered Volkswagen German-engineered. Only Volkswagen Original parts are manufactured specifically for your vehicle built to last, installed by our factory-trained technicians, and backed by a limited warranty*. 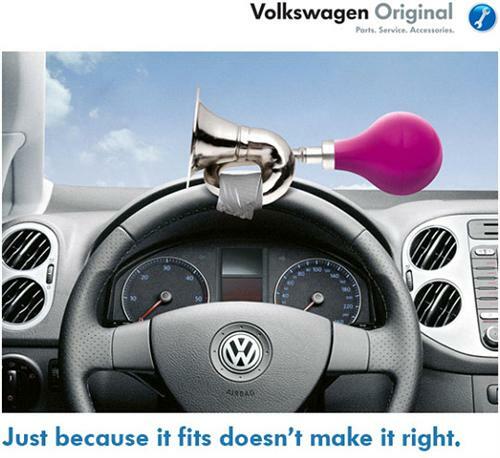 As a Volkswagen owner, you only want the best for your car, so always ask for Volkswagen Original. Why is spring maintenance a good idea? Your Volkswagen is a strong, robust vehicle designed to withstand even the harshest winter weather. However, there are a few things that you should get checked out every year to help prolong the life of your vehicle, and ensure a worry-free summer. Rotating your tires regularly not only extends their life, but helps braking and handling especially on the wet, slick roads that are so common in the spring. Winter is hard on brakes. An authorized Volkswagen Original service technician will examine your brakes to determine the amount of wear that has occurred. This is important, as gradual wear-down often goes unnoticed. Consider it spring cleaning for your car. It’s important to have your oil changed with the product that will keep your engine working at its optimum performance: Castrol premium synthetic oil. That’s because, when the days are warmer, you’ll be on the road more. You should also have your antifreeze checked, and the cooling system inspected especially the hoses and drive belt. Keep your Volkswagen running like a Volkswagen. The best way to keep your engine running like it should is to use premium synthetic oil. It acts quickly to lubricate and protect the different parts of your engine, and it’s proven to last much longer than regular petroleum-based oil. So that means less impact on the environment. Plus, when the weather heats up this summer, regular oil can break down and fail. But premium synthetic oil protects your engine even during those summer scorchers. Say goodbye to snow and hello to sunny spring days. Summer will soon be in full swing, and winter will be a distant memory. That means cranking up the stereo, rolling down the windows, and hitting the open road. Just be sure to come see us first. We’d like to make sure your Volkswagen is working as it should and is ready for summer. Get in touch at your earliest convenience to schedule your spring maintenance, and take advantage of these Parts and Service specials. We hope to see you and your Volkswagen soon.